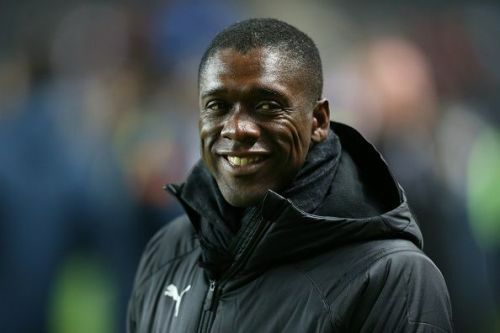 Football legend Clarence Seedorf believes that his former club Real Madrid are still capable of winning the Champions League despite suffering back to back El Clasico defeats. Real Madrid were knocked out of the Copa del Rey after Barcelona defeated them in the second leg of the semifinals. Los Blancos are almost out of the La Liga title race as well, as they are 12 points behind the La Liga leaders, Barcelona. Real Madrid have only got a shot at winning the Champions League, as they are out of the domestic competitions. Real Madrid have been winning the most coveted trophy in European football for the past three years. Last year was the same question, if a club has the cups it has, you have to think that Real Madrid is always capable of reaching the final and winning it. Who was going to say they were going to win three in a row? Impossible! Because it never happened. Not even two in a row. So, of course, they are capable. Football never ceases to amaze us. Knowing that, it will be very difficult, but you can not rule out Real Madrid. And the club has done well because they have kept key players, and they are being competitive: third in the league, alive in the Champions League, eliminated in the semi-finals in the Spanish Cup, but against Barcelona, which is not a shame either for any of them. Those players (Vinicius and Reguilon), I think they're giving it. But, when you play against Barcelona and other great teams in the world, you can lose. It happens. You can not always think about winning everything and forever. Real Madrid host Ajax in the second leg of the Round of 16 tie in the Champions League on February 6.